A new and innovative development in Nootropics stacks that requires no prescription is Nootrogen. Research and clinical studies have identified 2 key natural compounds (Dimethylaminoethanol and L-Pyroglutamic Acid) have remarkable effects on cognitive and brain function when consumed together. Notroopics are a substance that when taken, can increase memory, concentration, motivation and mood. It may just improve anything related to brain power and cognition. It’s very exciting as a new era of smart drugs and nootropics is upon us. 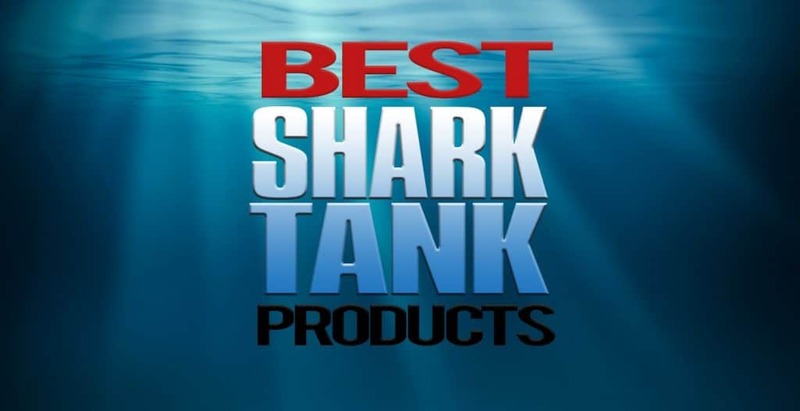 Co-founders Geoff Woo and Michael Brandt entered the Shark Tank during the 8th season, with the highest company valuation every given on the show. Nootrobox was a San Franciscan start-up which made energy and productivity supplements. Nootrobox presented the Sharks with their latest product, Go Cubes, chewable coffee-infused gummy cubes designed to boost productivity, energy, and brain power. Before their appearance on Shark Tank, Nootrobox was already making a successful profit. In 2014, they made $55,000 in sales, and had made a total of $1 million in sales-to-date when they appeared on Shark Tank. They also reported about 17% month-over-month growth at this point. And while these numbers may look good, the Sharks didn’t seem to fully understand the product or its applications. Woo and Brandt were asking for an investment of $2 million from the Sharks in exchange for 5% in the business. This indicates a company valuation of a staggering $40 million, the highest company valuation in Shark Tank history. The Sharks focused on the valuation, which the pair compared to investing in Apple. This was not a popular analogy at this point in the proceedings. Woo and Brandt also felt they weren’t given ample opportunity to explain how this product worked. The Shark investors were all unfamiliar with this type of product, its market and the potential applications. Lori Greiner told the pair that they were very science-orientated but not sales-orientated. Kevin O’Leary said “I think you guys are flying very close to the sun”. Nootrobox ultimately left the Shark Tank without a deal. While the Sharks may not have understood the potential of Nootrobox, the general public certainly did. After the Shark Tank episode aired, Google searches for their signature product, Go Cubes, spiked and sales vastly increased. They made enough money to invest in further R&D, and develop a full product range. Nootrobox make supplements designed boost memory, enhance mental clarity, and improve sleep patterns. They use a combination of caffeine and nootropics. Their website classifies nootropics as the following: “Nootropics are a broad classification of cognitive-enhancing compounds that produce minimal side effects and are suitable for long-term use. These compounds include those occurring in nature or already produced by the human body (such as neurotransmitters), and their synthetic analogs.” This concept is related to bio-hacking, the idea that we can tap into, and enhance, human ability. Rise – A daily nootropic to enhance memory, stamina and mental resilience. This blend includes 300mg of bacopa monnieri, 300mg of rhodiola, and 300 mg of alpha GPC. Bacopa has been used for thousands of years and is one of the most well-researched Ayurvedic herbs. Rhodiola is a powerful adaptogen with anti-fatigue properties, and alpha GPC is an incredibly effective source of raw choline (water-soluble vitamin-like essential nutrient). Sprint – This increases alertness while reducing stress, and provides 4-6 hours of “flow state to get the job done”. Sprint blends caffeine and L-theanine in a 1:2 ratio, which is well-founded scientifically. Kado-3 – A daily omega-3 based nootropic stack to improve mood and protect the brain & body. This stack is their main omega-3 fatty acid (DHA / EPA) product, effective compounds for enhancing neurogenesis, the formation of nervous tissue. Kado-3 is probably best effective when used in conjunction with other Nootrobox products, and less effective than the other nootropics stacks when used alone. Yawn – A non-habit-forming sleep aid to help you fall asleep faster, improve sleep quality, and wake up refreshed. Yawn uses magnesium citrate as a pre-sleep supplement. Whilst magnesium in other forms is a successful, non-addictive sleep supplement, there is a possibility that the citric acid from the citrate form can cause other issues with adrenal fatigue. This supplement is probably their least effective overall in its purpose, but again, when used in combination with the above nootropic stacks, can provide a good overall enhancing effect. These products have all been thoroughly researched and have proven safe and effective. Their effects may differ from person to person, with some seeing no added value to their lives and others finding the physical and neural enhancements a massive benefit. So they are certainly worth a try if you are interested in trying nootropics and testing the concept of bio-hacking for yourself.